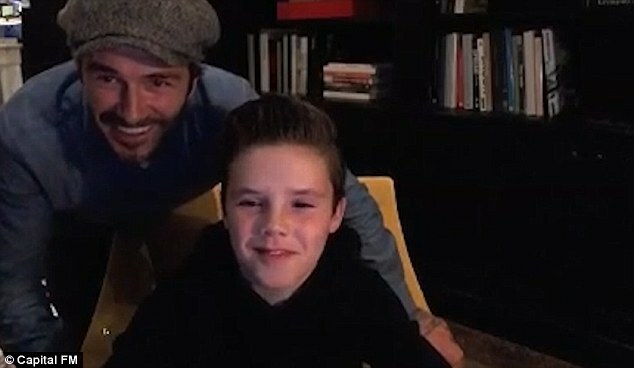 Since it was announced that Cruz Beckham was set to launch a pop career, his famous parents faced a barrage of criticism for their offspring's early industry start. 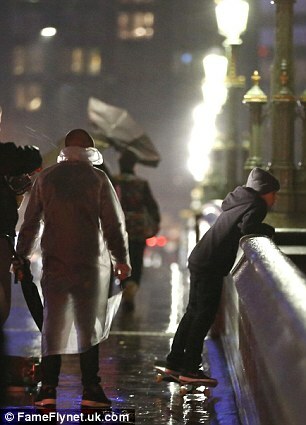 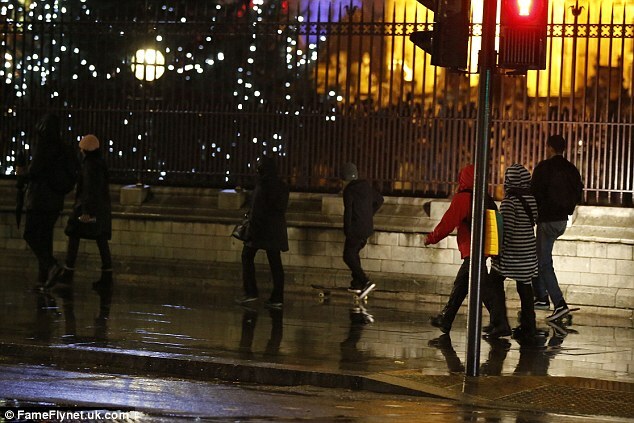 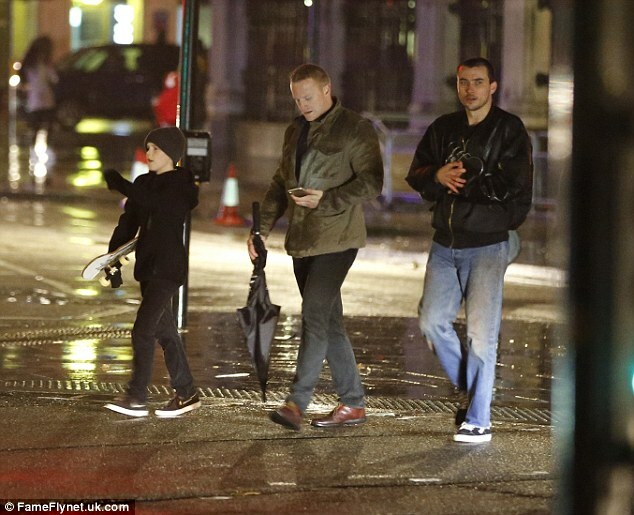 But on Saturday, it was full steam ahead of the talented 11-year-old, as he was spotted on the streets of central London shooting scenes for the music video to accompany his debut charity single, If Every Day Was Christmas. 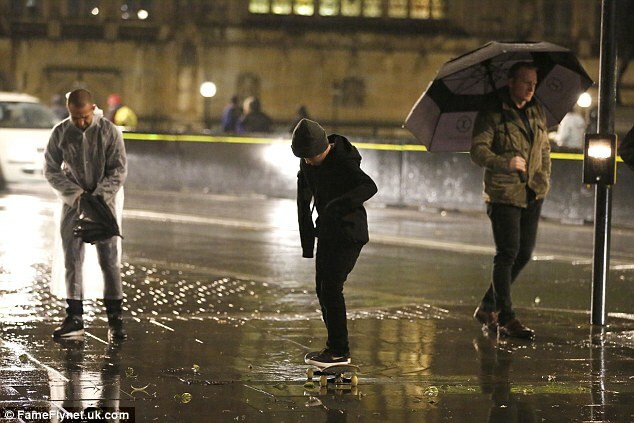 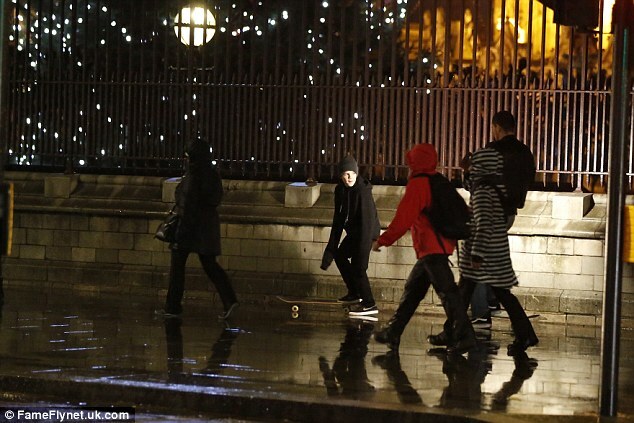 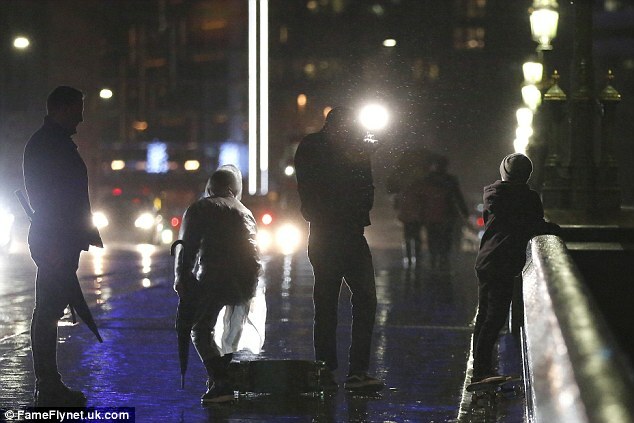 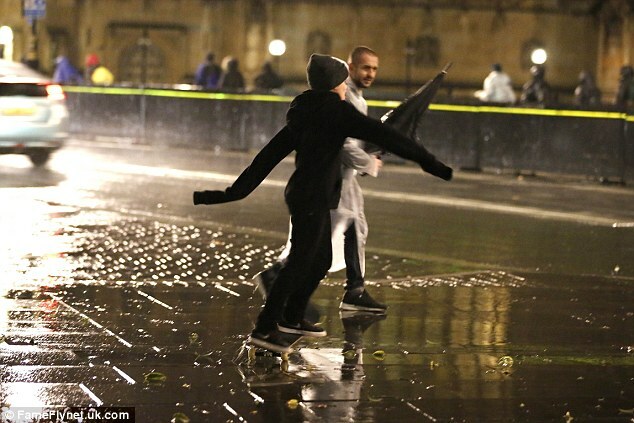 And the son of David and Victoria Beckham opted to show off his athletic prowess for his moment on film, skilfully rolling through the English capital's rain-sodden streets on a skateboard as diligent cameramen caught all of the action. 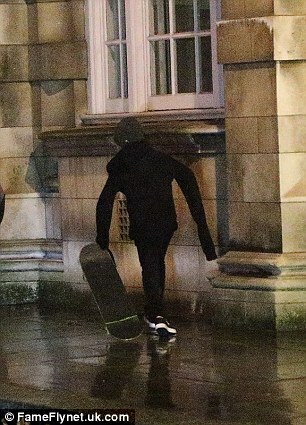 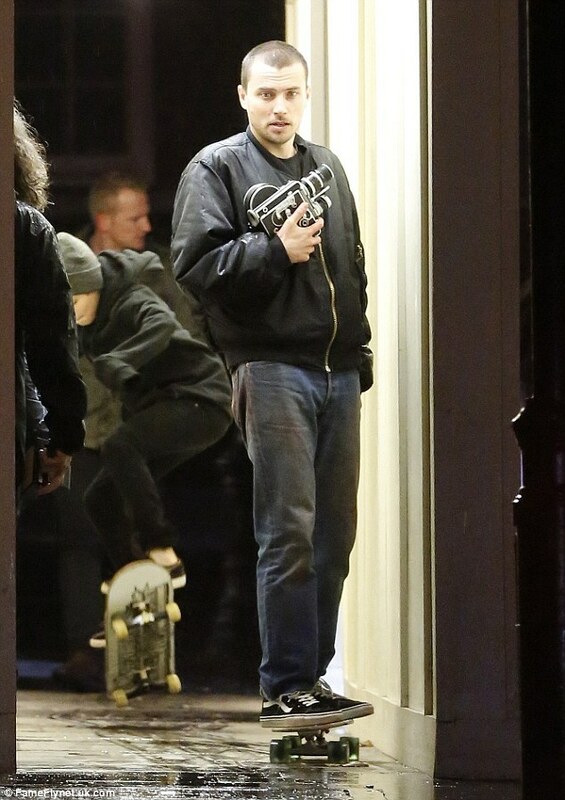 The youngster braved the wintry chill in a black hoodie and beanie hat, which he teamed with matching jeans and a pair of skateboarding shoes. 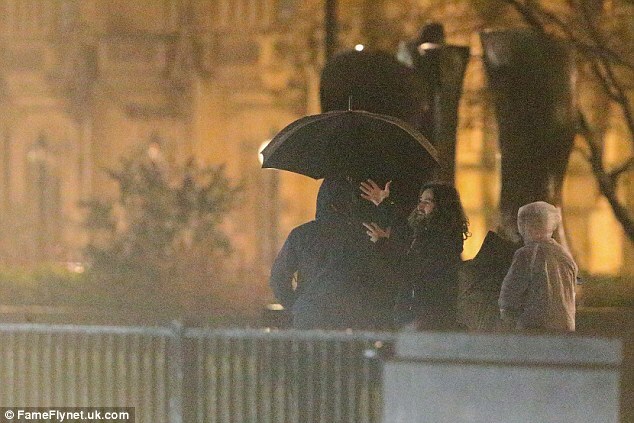 To ward off the relentless rainfall, crew members were on hand with large umbrellas, to keep the rising star dry between scenes. 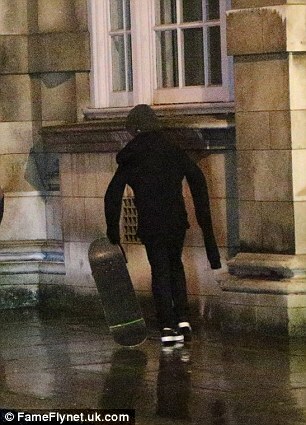 As he skateboarded along broad pavements and narrow walkways, he could have been mistaken for any other boy having sporty fun, were it not for the cameras. 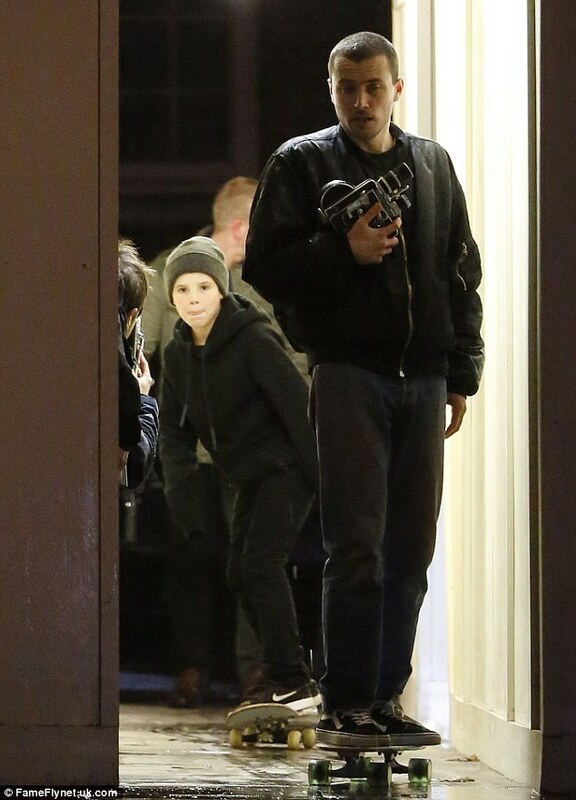 His mother Victoria was so proud of the results, she took to her Instagram account to share shots of the action on the same day. 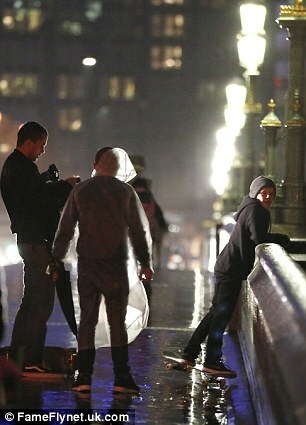 The behind-the-scenes snap saw Cruz running his fingers through his own hair as a cameraman filmed the moment. 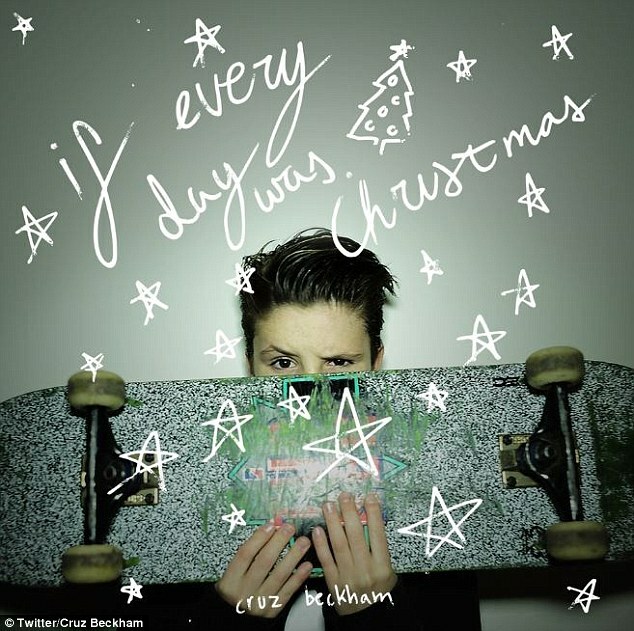 The fashion mogul seemed delighted at her son's rising star status as she captioned the shot: '@cruzbeckham shooting his #IfEveryDayWasChristmas video supporting @globals_make_some_noise x VB'. 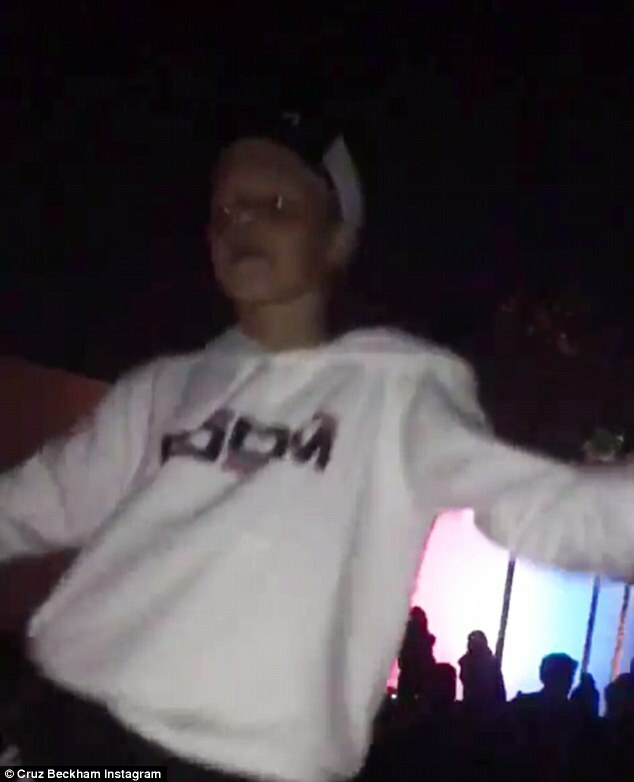 Donning a white hoody, the celebrity offspring looked as though he was having a blast as he demonstrated the moves to Silento's Watch Me Whip/Nae Nae. 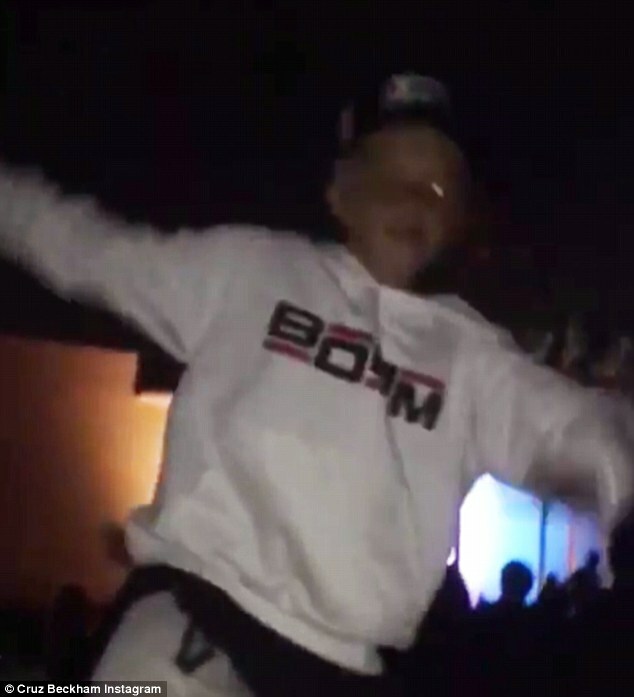 Now that Cruz's music career is hot on everyone's radar, Victoria has already asked X Factor judge Nicole Scherzinger to duet with him. 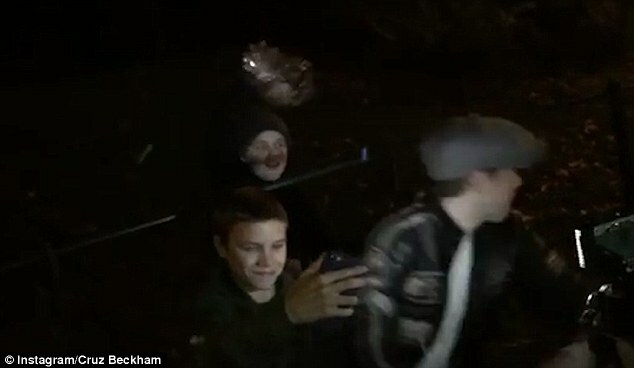 Speaking at the homecoming event of her X Factor finalist Matt Terry in Bromley, on Thursday, the former Pussycat Doll said in an interview with The Sun: 'Victoria was just telling me about her son the other day. 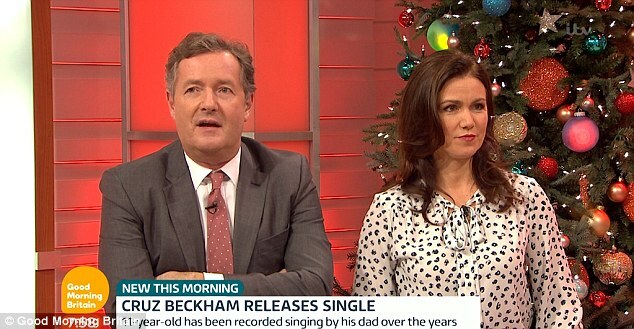 The news will no doubt be frowned upon by television personality Piers Morgan, after he called Cruz's early pop breakthrough 'sickening' on Wednesday's Good Morning Britain, adding that Cruz 'should be at school'. 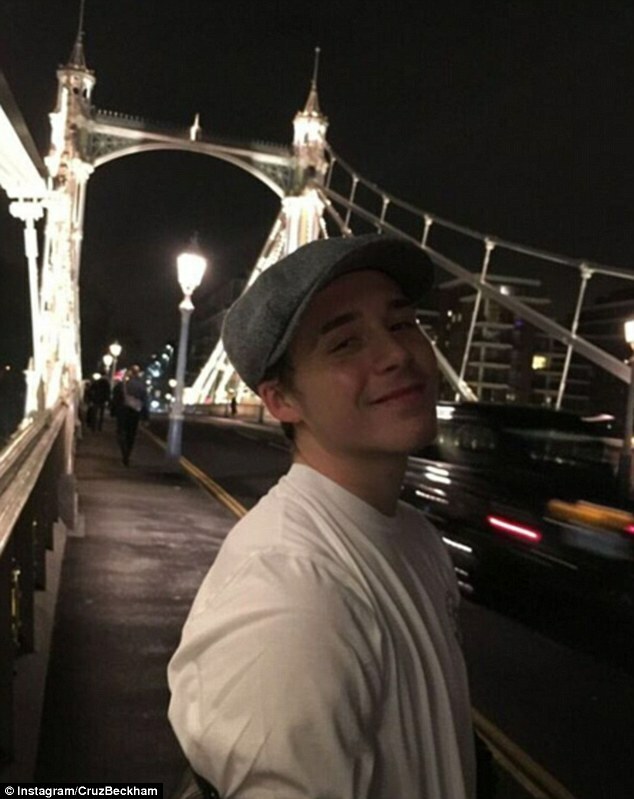 Piers believes that if Cruz wants to be a pop star, he should go through the 'hard graft' like other singers, not just release something because his parents are famous. 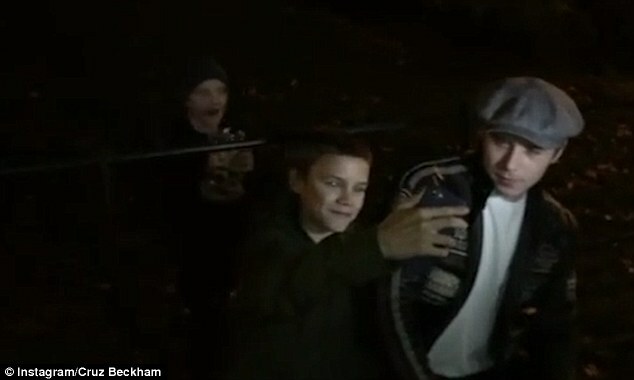 However this response was met with equal fury from the youngster's manager Scooter Braun - who is also responsible for pop sensation Justin Bieber. 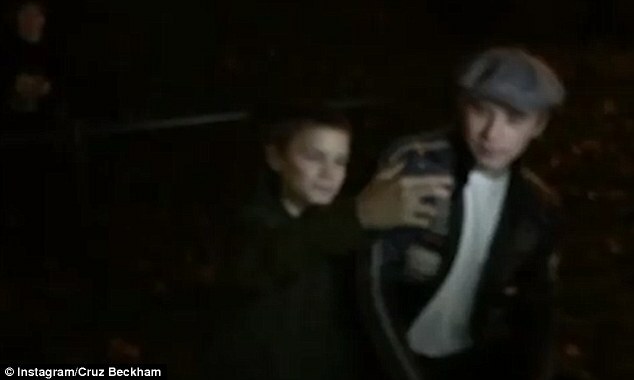 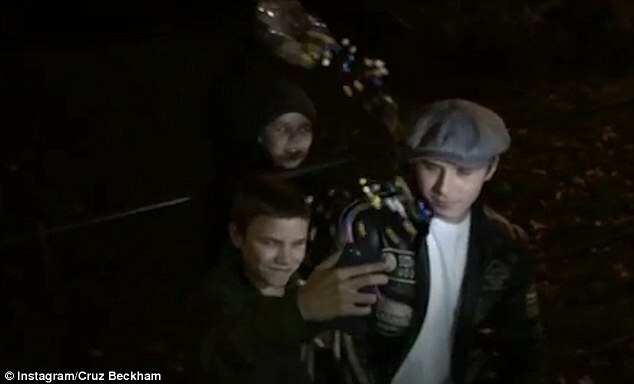 He filmed the music video for the track on Thursday with his two brothers Brooklyn, 17, and Romeo, 14. 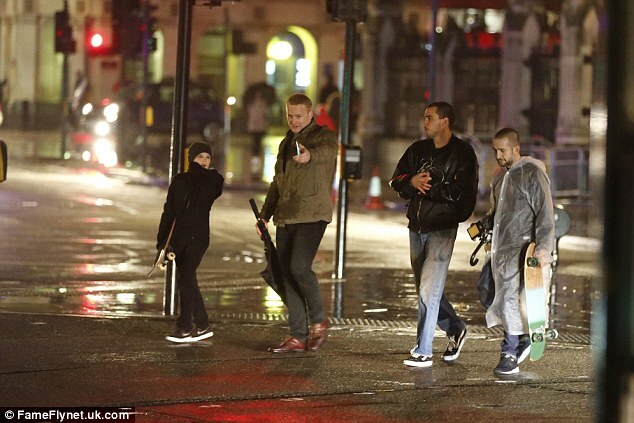 The trio embarked on the shoot around London, which they documented on Instagram. 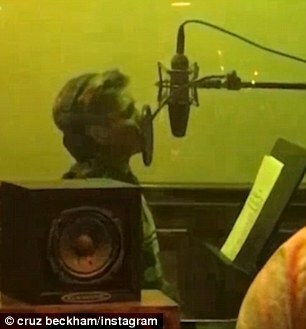 He later uploaded a throwback video of himself in the studio - looking every inch the pop star in a chunky set of headphones behind a professional microphone, as he belted out the festive track.